I am kind of disappointed that I did not like this one as much as I thought I would. I guess I was hoping for a few more dino fossils, though in the grand scheme of things I also recognize it would be impossible to include more than one or two, seeing as how there are so many fossils to choose from. There were also a couple typos that I would overlook most of the time, but I can't here because this book is a product of the Smithsonian and thus held to a higher standard. I did find humor in the fact that where the random typos occurred, a previous library patron who had the book before I did had edited the book, crossing out incorrect words and inserting missing ones. 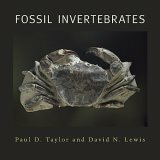 A very good coffee-table type book, whose strongest points are the astonishing photographs of the authors' own "top-100" fossil representatives from the history of life. For the book's intended audience, and I assume, for practical reasons, the very readable text is brief and general in nature. As some reviewers have noted, there are some elemental typos in the opening pages of the book. However, to reject the entire book for that reason seams a bit petty. Since I only made it to page 17 I won't official rate this...but I'd give it 1 star based on the following.When I saw this, I thought "cool, a giant picture book from the Smithsonian that will make me look smart 'n sciencey while maybe giving me a clue as to why past ages of the Earth have such confusing names. Turning to the Introduction on page 4 I read: "THE HISTORY OF LIFE IS WRITTEN is written in the rocks, or more precisely in the fossils contained within the rocks. " Either the authors were waxing poetic or else the editorial staff WAS SLEEPING was sleeping the day this manuscript crossed their desk.Oh well, continuing on I reached page 6: "These tiny fossils resemble modern cyanobacteria and represent just one of the many kinds microbial organisms that flourished on the Precambrian Earth." Their grammar is proving pre-Cambridgian...Finally the pictures started (yay! ), including images of the pre-Pangaean continents but with no explanation as to how they've determined the shape and arrangement of those landmasses. Guess we'll just have to take their word for it. And then I reached pages 12-13. The picture would really help here but I can't for the life of me figure out how to insert images, so you'll just have to imagine that you're looking down on a white button mushroom cap that's been gold-plated and etched with the inner markings of a peace symbol (or else Google Doushantuo Formation). Across from this image is the following: "In the Doushantuo Formation one can find beautifully preserved fossils that resemble, astonishingly, the embryos of modern animals. They are shaped by adjoining cells, suggesting a flexible membrane rather than the rigid membrane of algae or fungi. The number of cells is always to the power of two (1, 2, 4, 8, etc) characteristic of embryo cleavage..." Ok, as noted, the image shown looks like a mushroom with a peace sign on it, and as we all know, a peace sign has three sections. The last time I checked, which was two sentences ago, 3 is not a power of 2! I'm sure there's a rational explanation for the disconnect between the image and text, but after a mere 13 pages my conclusion was that this was a shoddy and confusing effort by our nation's preeminent natural history museum to one-up Neil MacGregor's A History Of The World In 100 Objects by going back 3.9 billion years. Maybe they should have gone back in reading level as well and left it at "Here's a pretty rock. And look, here's another one!" Enjoyed this book. I have a degree in Bio, and wish I'd had a minor in Paleo, but took two others instead, English and Education. Go figure. But I love paleontology, always loved books on the topic, so this was a good catch-up and review (for me) about all the fossils, ideas, current and past thinking, etc., that I've always loved. 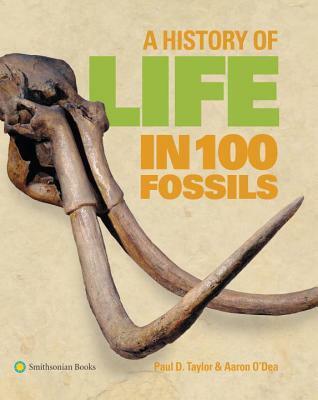 The book itself gives a quick overview of 100 fossils and their relative importance in the area of evolutionary history. The photographs are excellent; the choice of fossils superlative. There were only a few here and there I'd never heard of, but I read this book about ten pages at a time while finishing up lunch or waiting for my grandkids to arrive. (Many a time they had a to wait while I read 'one more page! ')Recommended for those with some knowledge of the past. Due to the format, I suppose you'd have to call A History of Life in 100 Fossils a coffee table book. The book traces the evolution of life on earth from pre-Cambrian stromatolites to H. Heidelbergensis. When you consider that 99.99% of all the life that has existed on earth is no longer present and that most of that life never made it into the fossil record, the book provides only the most cursory glimpse into the panoply of life. A couple of things set the book apart. First, the photography is outstanding. Second, each photo is accompanied by a least one large format page of explanatory text, much more information than you get in most coffee table books. An interesting read that will stimulate you to consider just how unbelievably remarkable our planet is. Nice sound bite style coffee table book. Lovely photographs and illustrations integral to the book itself. A bit light on the histories and facts, left you wanting more than was given. Great introduction to the topic, though. Very approachable and easy to read.